Please fill in the form below to leave me your comments! Binnie Brennan’s short stories have appeared in a number of Canadian and American journals, including The Wascana Review, Existere, and The Adirondack Review. In 2007 her children’s story A Spider’s Tale was adapted for the stage featuring Symphony Nova Scotia. 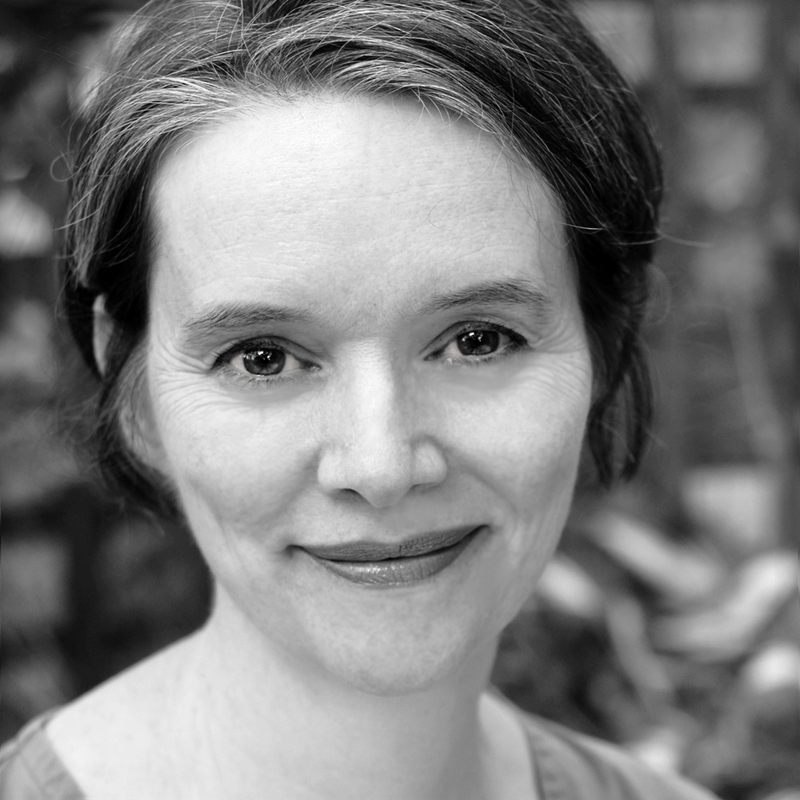 Binnie is an alumna of the Humber School for Writers, where she was mentored by MG Vassanji and Alistair MacLeod. Born in Toronto, Binnie lives in Halifax with her husband and two children; she is a violist with Symphony Nova Scotia, a position she has held since 1989. Harbour View is her first novella and a co-winner of Quattro Books’ 2009 Ken Klonsky Novella Contest. In 2010 Harbour View was shortlisted for an Atlantic Book Award (The Margaret and John Savage First Book Award). From the lip of the Atlantic to the mountains of the California desert, and spanning a century’s worth of memories, Harbour View weaves together the stories of residents and staff in a nursing home overlooking Halifax Harbour. Memories drawn from the rich and diverse pasts of six main characters and their families infuse a bittersweet present. Threaded with music and united by themes of dislocation, family legend, and longing, Harbour View offers moving glimpses into the extraordinary lives of ordinary people. Since 1989, Binnie has been a violist with Symphony Nova Scotia. She lives in Halifax with her husband and two children. Harbour View is Binnie’s first novella. Quattro Books is pleased to announce that Harbour View, a novella by Halifax author Binnie Brennan, has been short listed for an Atlantic Book Award. The Margaret and John Savage First Book Award will be announced on April 14 at an awards celebration of the Atlantic Book Festival. “We have in Harbour View an example of great Canadian literature and we are very proud to be part of its success,” says John Calabro, Senior Fiction Editor at Quattro. The Margaret and John Savage First Book Award, presented for the first time in 2003, recognizes the best first book of fiction or non-fiction written by a first time book published author in Atlantic Canada. Margaret and John Savage were instrumental in establishing the Dartmouth Book and Writing Awards in 1988. 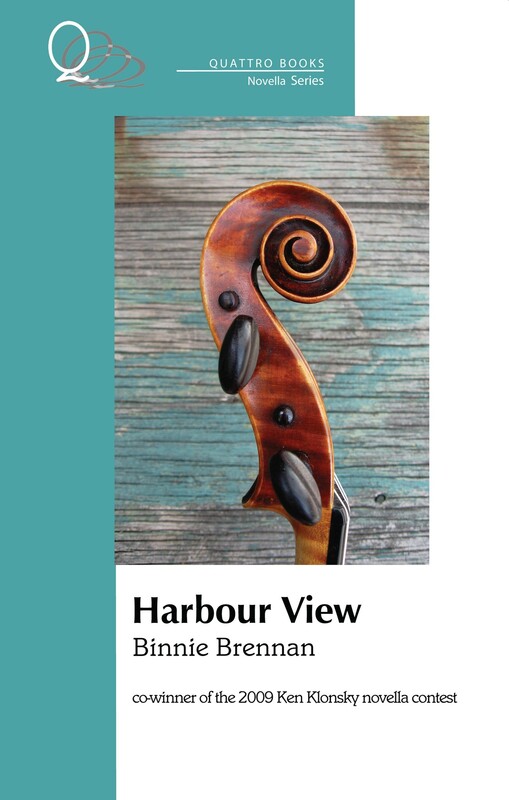 Quattro Books is pleased to announce that Harbour View, a novella by Halifax author Binnie Brennan, has been short listed for an Atlantic Book Award. The Margaret and John Savage First Book Award will be announced on April 14 at the awards celebration of the Atlantic Book Festival. On September 27, I had the great pleasure of reading for an audience at the Halifax Word On the Street. This had been a dream of mine for years; I’ve been a long-time attendee of WOTS, going back to the late-nineties when tents along Spring Garden Road did a poor job of keeping the rain off the books. The rain did little to dampen book-lovers’ spirits, though; readers are a determined bunch, and Maritimers know how to dress for rain. Fast-forward to 2009, at the Cunard Centre by Halifax Harbour. I wore two hats: in the morning I performed string quartets with Symphony Nova Scotia colleagues for a small, but attentive audience. Later in the afternoon, I returned to the same stage and read from my novella, Harbour View, to an equally attentive audience. I thought I might as well start at the beginning, so I read from Chapter 1. I enjoyed a lively radio interview with Stephen Clare on his show, The Book Club (aired March 30, 2010 on 88.1FM, CKDU). We talked about writing, books, mentors, and the Atlantic Book Awards, among other things. I even read a few excerpts from Harbour View. 45 minutes whizzed by!